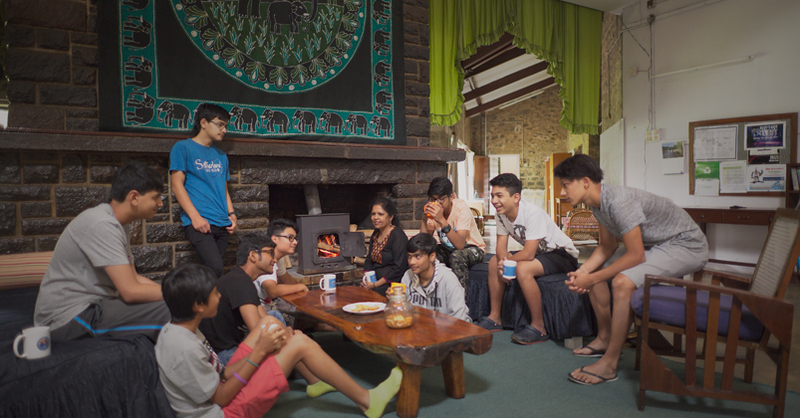 We have 18 student residences accommodating 25-35 students each, living with residential parents. We also own and maintain hundreds of staff residences spread between apartments, duplex ground floor houses and stand-alone residences, as well as a number of rented local houses. And they aren’t going through emotional trauma and aren’t talking about it. Engaging in conversation: We provide them with dorm treats and snacks, which include all sorts of food and drinks. During this time we make sure to sit with them and have a great time, but also talk about what’s going on in their lives. They talk to us about their day, what subjects they’re having difficulties with, which classes they enjoy the most etc. Sometimes (when we’re talking one-on-one) they open up about their personal lives as well, sometimes just to be heard, to vent, and sometimes to seek advice from us. We’re also very careful about what advice we give and think twice about what we say. News from home or elsewhere: Generally when good news comes from their hometowns we share in their enthusiasm, but when its bad news, we spend a lot of time with them, counselling them, talking to them etc. We’re available to them whenever they feel like talking. A go-between: We serve as “go-betweens” for our children and their teachers. When a teacher/professor feels like they can’t get through to a child or want to know if the child is going through something that would explain their behavior, they’d contact the dorm parent. The child would invariably be going through an emotional phase or have something else on his/her mind; or even just be very distracted. This is when we step in and conclude if it’s a personal matter or not and deal with it accordingly. Sickness: When students fall ill, we’re almost always up all night making sure it doesn’t graduate to something more dangerous or contagious. If that does happen, we call for the school van to take them to the Dish. If it’s not a serious problem we provide them with basic medicines prescribed by the Dish. Special Occasions: We check to make sure they have appropriate clothing & shoes for the specific event, and if necessary, iron & polish them. Discipline: We discipline them when they make a bad choice; teach them what is right and wrong and give them appropriate consequences as and when necessary. Hygiene & Cleanliness: We make sure every student takes a shower, makes their bed in the morning, keeps their room neat and clean, keeps their shoes polished or dusted, separates their dirty clothes from their clean ones, etc. Hygiene is a very integral part of our daily routine. Academic: During exams we generally stay up with the children or have an ear out for them while they study. We make coffee for them at odd hours to help them stay up but also make sure they get sufficient sleep before their exam. When deadlines have to be met and the child needs extra time, we give them leeway to stay up a little longer to complete their assignment. – Getting the required documents from the travel department. – Money from the Finance office. – On day of departure makes sure they carry along their documents, including the school ID which many of them tend to forget. – Follow up with them or their parents till they reach home. – Stay awake till early morning as per their departure/arrival time assigned by travel office. Dorm meeting: There’s a dorm meeting held once a week where important announcements are made and issues are discussed. Everyone’s given a chance to voice their opinions on certain things, be it dorm life, classmates, an academic or teacher related issue or even small issues concerning their rooms or beds or various necessities. Weekdays and weekends: On weekdays the children usually come back to the dorm, leave their books/bag etc., change into their shorts or tracks and head back to school (Covered Courts) or Bendy to play Football, Basketball or any other sport they may be interested in. At 6pm they have dinner and are back in dorm soon after. On weekends they usually wake up late, have a late breakfast and then do as they please. Some of them watch movies, some work on assignments or projects, some hang around in school with their friends, some are around town in the various restaurants, and some lounge about in their dorms either reading or playing board games. We love our job because of how we have the opportunity to interact with so many students from all over the world. We feel like we’re really making a difference by being there for them and acting as parent figures. They confide in us, listen to us, and sometimes even make it a point to keep in touch with us years after they graduate. We’re honored to be able to contribute to their adolescent years and guide them in every way possible.